The management accounting and operations management literature argue that the adoption of the advanced techniques, that accomplish the total quality management, necessitates complementary changes in an entity's management system. The purpose of this chapter is to help managers be aware of the consequences of their decisions regarding the quality of all processes happening in the leaded entity. Such decisions, taken in the current period, have important implications for changes in the activity levels and processes in the future. This chapter presents a model of thinking in which managers' and accountants' learning on the job and their choices of professional services jointly affect performance. The outcomes provide different managers to challenge the internal and external entity's environment from total quality and environmental perspectives. Especially top managers, with new abilities, easily and inexpensively succeed to translate an adapting management process into scenarios appropriate to various situations. Managers use their professional knowledge to predict resource supply and spending levels for upcoming periods, and to calculate the expected future costs of products, services, and customers. In a permanent changing environment, an adaptive management is required. Therefore a management by thinking must be taken into account. Management by doing or experiential managing is a concept that is based on continuous improvement, synonymous with kaizen. Continuous improvement has to be set in the context of the quality movement which is more a way of life or at least a cultural approach to quality improvement, rather than a tool or technique. Kaizen means improvement. The Kaizen strategy calls for never-ending efforts for improvement involving everyone in the organization – managers and workers equally. Management by doing can change leading because it requires new roles for managers, trainers and administrators. It can provide a different, more engaging way of treating responsibility content through the combination of action and reflection. Management by doing empowers managers become accountable for their own responsibilities and knowledge. Experiential managing can also provide a process for helping all those involved in leadership to become more comfortable with the unfamiliar roles commonly proposed for restructured entities. These new roles, rules and structures may seem unfamiliar and uncomfortable to both executive and responsible individuals. Traditionally, employees have most often been rewarded for accomplishing their tasks and competing rather than cooperating with each other. Managers are not often called upon for collaborative work, either. Leaders used to the traditional hierarchical structure of entities, often do not know how to help their staff constitute self-managed work teams or how to help them coaching workforce to toil in cooperative teams. The techniques of management by doing can help workers and staffs adjust to teamwork, an important part of the process of adaptive management. Experiential management accounting ensures the necessary processes in order to acquire the proper accounting information fulfilling the requirements of total quality management. This approach provides competencies and aptitudes for examination and appliance of the financial and nonfinancial reports on decision process. Most common uses are: (1) generally applicable for almost every type of risk assessment application, especially those dominated by relatively simple failure scenarios, and (2) occasionally used alone, but most often used to supplement other, more structured techniques (Caraiani, 2006). This chapter contribute to the literature by debating on the ability of certain practices to oppose change by adapting to the new rules and compromising their content. It adds a relational perspective to a field of literature that has so far been dominated by traditional lecturers, students, accountants and managers. The research methodology used along this chapter is based on a multidisciplinary approach of the scientific national, European and international literature appropriate for management, accounting and other related fields. 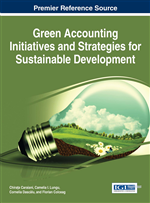 Through constructive research, a set of adapted concepts and ways of action are identified with reference to social, economic and environmental business dimensions. In order to achieve an exploratory research all identified aspects are analyzed from stakeholders’ perspective and a previous agreement is obtained, both on the methodology of analysis used and on the results produced. The analysis has required the comparison of specific experiences in different areas: products, services, customers, and suppliers. How does performance react to a particular change of a parameter, according to the feedback received from final consumers? Whether the change of a parameter is small, should it still be considered and evaluated by accounting adaptive management. How sensitive is the result to a small change of a parameter and what are the suitable performance metrics? Who is assuming the leadership roles? Does the planning process helps or obstructs the continuous improvement? How right is the social and professional communication between employees of all levels in an entity represented, and how the strengths of all group members are used? Is the entity a supportive environment in which the actors feel comfortable making a contribution and taking risks?